In last week’s newsletter, I used the analogy of a factory producing widgets to illustrate the concept of GDP. In simple terms, the GDP of a country measures the wealth being generated by its citizens. The larger the GDP, it is assumed, the healthier the economy. 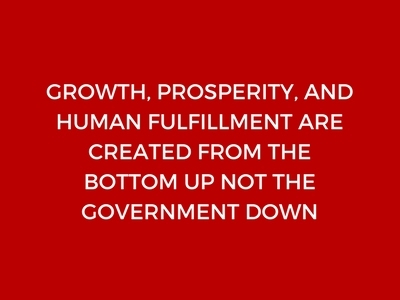 Gross Domestic Product or GDP has now become the standard measure of economic progress. Despite its ubiquitous use by economists, governments and the media, there are doubts about both the accuracy of its measurement and its usefulness as an indicator of economic progress. Is the GDP number an accurate reflection of the health of an economy? Or is it a fuzzy number whose measurement is fraught with inaccuracies and extrapolations, and its value subject to continuous readjustment? In her book titled GDP: A Brief But Affectionate History, Diane Coyle takes us through the development of the concept of GDP from its origins in the 17th century to the present. Early developers of ideas on how to measure the wealth of a nation, economists like Adam Smith, did not want to include defense spending in the calculation of national income because they saw it as a wasteful and nonproductive activity. Smith even argued that only manufacturing contributes to economic progress and that services should not be included in aggregating a nation’s wealth because they were a parasitic cost to the nation. “ A servant was a cost to his employer, and did not create anything,” he argued. It was Simon Kuznets, a Russian-American economist who formalized the calculation of GDP in the 1930’s. Originally Kuznets did not want to include government spending in the computation of GDP. He argued that since the money for government spending came from taxes, it was simply a transfer payment from the private sector to the government. Including government spending would then tautologically increase measured economic growth regardless of whether it benefited individuals’ economic welfare. The following example illustrates the illusionary impact of government spending on GDP. Suppose the Indian government wants to waive off loans for a certain section of society or give free electricity to farmers. Since there is no free lunch, this money must come from the exchequer. And since this is government spending it will show up as an increase in GDP. But the addition to wealth would be an illusion as it benefits only a few at the expense of many. Consider also the opportunity cost of this spending. The money spent by the government in loan waivers and free electricity must first be taken from the private sector in the form of taxes–money that would alternatively have been invested into new businesses, hiring people, producing more widgets and will be a real increase in the aggregate income of the country. Kuznets was therefore right about not wanting to include government spending in the calculation of GDP because it represented a transfer payment at the expense of private investment. However, he lost the argument since the US government wanted the heavy World War II spending to be included, not as a destruction of wealth, but as a measure of wealth creation. And so government spending was included in the calculation of GDP. Sadly, that was a also turning point in the perceived role of government in economic growth.For almost two centuries before that, “the economy” was always the private sector. Government played a small role in economic life. But the inclusion of government spending in the calculation of GDP falsely conceptualized an expanded role for the government in the economy. The inclusion of government spending in the computation of GDP coincided with the development of an entirely new branch of economics called Keynesian economics which eventually became the dominant economic policy for much of the 20th century. Before Keynes, economists believed that booms and busts were part of the natural economic cycle and that no government interference was required to get the economy out of recession. In other words, the government’s role in managing economic growth was very minimal. Keynesian economics promoted the idea that government spending was key to fighting recessions and that in times of economic slowdown the government should increase its spending even if it had to borrow or print money to undertake unproductive activities like building bridges to nowhere. This was the beginning of the idea of using government spending as a policy tool. Governments wrongly began to believe that they had an active role to play in economic activity and that they could influence a nation’s growth by dialing up government spending . As a result, governments grew in size and reach. And tax rates and government debt subsequently went up, as a result, to provide for this additional spending. The consequences of massive increases in government spending have been disastrous and the evidence now completely rejects Keynesian economics. The governments of Japan and US have tried unsuccessfully to spend their way out of a recession by borrowing large amounts of money. But it hasn’t worked. Kuznets was right, and Keynes wrong: government spending does not increase real economic activity. There are many challenges with calculating GDP. For instance, it is difficult to measure the contribution of innovation to GDP. How does one measure the value of Google Maps, for example, even though the travel time it saves can be used productively? Or the value of the voice recognition software that I am using to write this blog which makes me significantly more productive? Or a free phone call on Skype which adds nothing to GDP while a paid international call on Airtel gets counted in GDP? There is now a strong consensus that GDP mismeasures the digital economy and that the economic growth of innovative countries like the USA is actually far higher that its stated GDP value. Another problem is that many activities go unreported in the calculation of GDP. Housekeeping, cleaning, cooking, and other such duties performed by members of the family do not get counted in GDP. But if you pay your maid to clean your house, it adds to GDP. Likewise, if you pay someone to paint your house and he reports that income it adds to GDP. But if you pay in cash and he does not report it then it doesn’t. The calculation of GDP in a country like India where a large part of the economy is informal is particularly abstract and problematic. There are very few records kept and income is rarely reported. Much of the economic activity, therefore, does not get picked up directly. Instead, it is estimated as a percentage of the formal economy. So, for example, if the GDP of the formal sector is Rs.100 and the informal sector is assumed to contribute 50% of that, the aggregate GDP is estimated to be Rs.150. Estimating the contribution of the informal sector can lead to serious errors in calculating GDP. If the value added by the informal sector is larger than the estimated percentage used in calculating GDP then India’s economic growth would be much higher than currently reported. Conversely, adverse effects of systemic shocks like demonetization get understated. It is very likely that India’s GDP growth in the 4th quarter of 2016-2017 ( Jan 2017-March,2017) –the quarter after demonetization–was much lower than the stated 6.1%. In all likelihood, the cash-dependent informal sector was hit much harder by demonetization and using the historical relationship overstates GDP. Another problem with GDP is in the measuring of services. GDP works well in a production economy ( a factory making widgets), but in a service economy like India how, for example, do you measure the productivity of a doctor. Is the doctor more productive if he sees more patients in a day or fewer patients but with better outcomes? So is GDP then really an abstract construct? To illustrate this increasing complexity in the calculation of GDP, the first United Nations guide on national accounts and GDP was 50 pages. The latest edition has 722 and increases in complexity with each passing year. Very few people understand the details and even fewer pay any attention to the practical difficulties involved in the calculation of GDP. Every few years, therefore, new rules for configuring GDP are created. In 2014 India changed the base year for prices from 2005 to 2012,which artificially increased GDP because of higher output prices in 2012 relative to 2005. In 2016, British statisticians declared the UK economy to be 5% larger after it was decided to add the economic contribution of prostitution and illegal drugs into the calculation of GDP. The bottom line is that a construct like GDP is subject to methodological, estimation, and measurement errors that are so profound that its stated value is quite abstract. So when politicians become ecstatic about its value, and analysts give their estimate of GDP growth–the GDP will grow at 7.2% or whatever– discount all that as sheer hype. Those estimates are quite meaningless and will undoubtedly change with subsequent revisions ( the US, for example, just recently revised its 1929 GDP number). More recently other measures of economic progress and human welfare have been proposed including the Green GDP Index, the Human Development Index, the Happiness Index, the Better Living Index and a few others. Unfortunately, India performs much worse on all these indicators than it does on GDP. It is my firm belief that obsession with simple constructs like GDP growth without understanding the complexities of measuring economic progress will be very damaging to India’s economic growth because shifts policymakers’ attention away from the real measures of sustainable economic growth and human welfare. I appeal to the Modi government, and in particular the Finance Minister, to refrain from continuously harping on India’s GDP growth and to tone down the hysteria of “ India being the fastest growing economy.” This obsession with increasing GDP growth will inevitably lead to the misallocation of resources. Signs of this are already evident in the new GST policy which has been formulated to allow the government to pick winners and losers by taxing industries at different rates. Let’s also come to grips with reality. India is a long way away from being considered prosperous. Let’s not detract from focusing on the hard work required to improve the quality of life in India.Let us not move our attention away from the goals of ‘minimum government,’ economic freedom, protecting individual rights, equal justice, and increased personal responsibility.